We appreciate your understanding and wish you all a Happy Holiday Season, Merry Christmas, and Joyous New Year! Organics “By Gosh” will be CLOSED on Saturday 9/1/18 and Monday 9/3/18 in observance of the Labor Day Holiday. We appreciate your business and apologize for any inconvenience. Please enjoy the long weekend with your friends and family, be safe! We will resume normal business hours on Tuesday 9/4/18. Thank you! We will be closed on Wednesday, July 4th in observance of Independence Day. We will re-open for normal business hours on Thursday, July 5th. Please enjoy celebrating with family and friends, and don’t forget to compost your holiday food waste! Organics “By Gosh” is open for business as usual this Saturday 5/26 from 8:00am-12:00pm, however we will be CLOSED on Monday 5/28 in observance of MEMORIAL DAY! We are sorry for any inconvenience, please have a safe, fun, and sunny weekend with your family and friends! You’ve made the most of early spring cleaning up your garden beds and waking up your lawn. Now, with summer just around the corner, it’s a great time to also consider mulching. Mulch is a versatile product that not only makes excellent top-dressing, but also enhances the beauty of outdoor environments. Because no two landscaping projects are alike, Organics “By Gosh” makes mulching products for all of your needs. 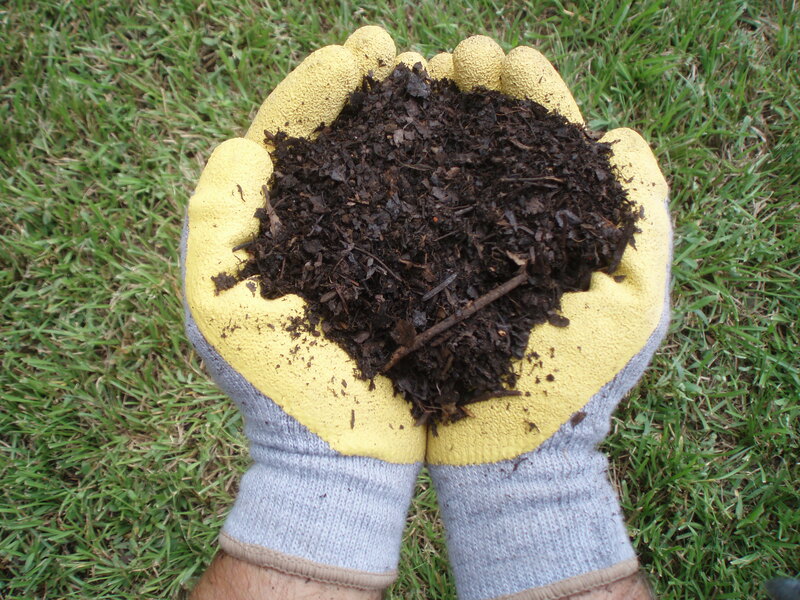 For projects involving trees, shrubs, flowers and vegetable gardens, our two-in-one Sustainable Mulch — which can be used for amending and composting — is an excellent choice. For those involving landscape enhancement, look no further than our Native Mulch. 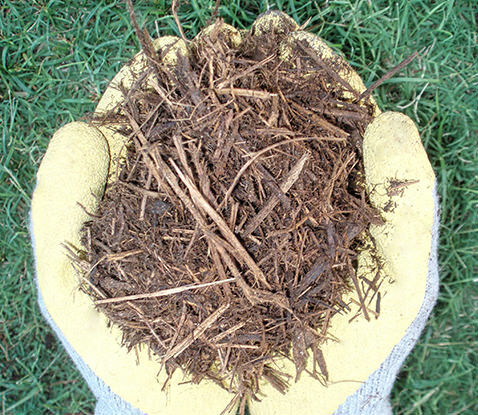 This shredded hardwood mulch is made from local brush and can be used to both mulch and amend soil. We recommend that you top dress with no more than 3 inches. If a bed has never been mulched, consider adding a layer of compost or organic fertilizer before putting down new mulch. Place mulch around trees and shrubs to protect against encroachment by other plants. Make sure that the mulch does not touch trunks. 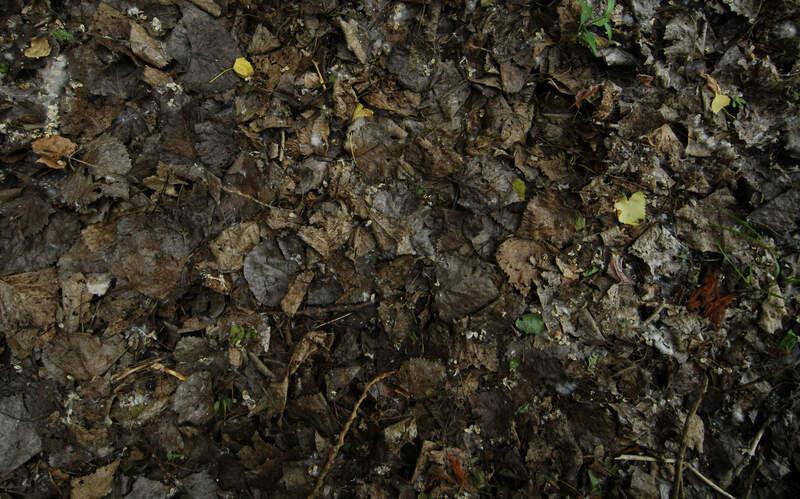 Too much mulch can cause trunk rot and/or attract insects that can eventually attack the tree/shrub. Mulching can help nourish and fortify areas of bare soil. If your landscaping includes walkways or stepping stones or is edged by pavement, be sure to apply a thinner layer of mulch the closer you get to these features. Prime planting season has arrived in Austin! If you plan to start a garden in pots or enclosed beds, you can help your plants thrive into the summer and beyond by using our Premium Potting Soil. Contrary to what the name suggests, our product contains no soil. Ingredients include sustainable compost (which we make from all-local organic ingredients), perlite and coconut coir, the natural fiber extracted from coconut husks. Its nutrient-rich composition makes potting soil an excellent growing medium for container plants. But it also has other qualities as well that make it a true garden essential. A good potting mix can help retain moisture and nutrients around plant roots. It acts as a kind of reservoir for these life-giving elements, especially within enclosed environments like pots, enclosed beds or other containers. Whether they grow in outdoor gardens or containers, plant roots need air to survive. Our Premium Potting Soil, contains perlite and coir. Their function is to lighten the potting mix, providing the airspace that prevents root rot. A good soil mix will typically settle around the roots of the plant. This is especially important for seedlings, which have small, shallow root systems. A soil mix helps hold a plant in place so that it can better withstand wind and heavy rain. Unlike regular soil, potting soil is lightweight. This lightness allows for both water and air to always be present beneath the soil surface. This creates a healthy, balanced atmosphere that allows plant roots to thrive. For best results, potting soils should be used in tandem with an organic fertilizer. This will ensure that your plants are receiving the nutrients they need to thrive. Six Benefits of Flower & Garden Plus! Spring is here. It’s the perfect time to plant anything from vegetables and herbs to flowers, trees and shrubs. 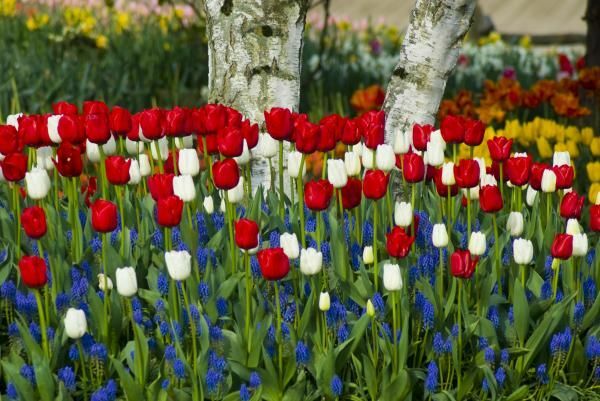 For gardening success, we recommend our ever-popular Flower and Garden Plus soil blend. Organics “By Gosh” combines humus with soil native to Austin and composts it for up to a year. We then mix the result with our Triple Power Compost, gypsum, mineral sands and coconut coir, the fiber extracted from the husk of coconuts. The result? A product you’ll love for its many benefits. The product supports local biology while locally sourced organic waste materials helps Austin achieve its zero waste goals. And with a lessened need for materials transportation, we are able to create a smaller carbon footprint. 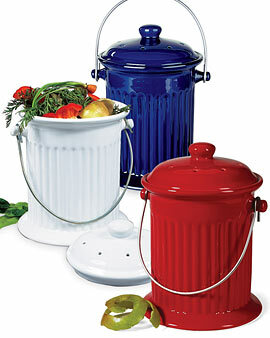 The composting method we use to brew Flower and Garden Plus kills pathogens. Triple Power Compost we use in the soil itself significantly enhances its overall nutrient value. Our product uses gypsum, otherwise known as hydrated calcium sulfate. This gray-white mineral helps break the soil apart, which helps make soil nutrients more readily available to plants. We also use mineral sands in our Flower in Garden Plus. These not only help promote water drainage, but add key minerals to the soil which enhances its overall richness. A final ingredient extra you’ll find in our product is humus. Formed by the decomposition of leaves and other plant material, humus is excellent for improving soil water retention as well as its overall quality. 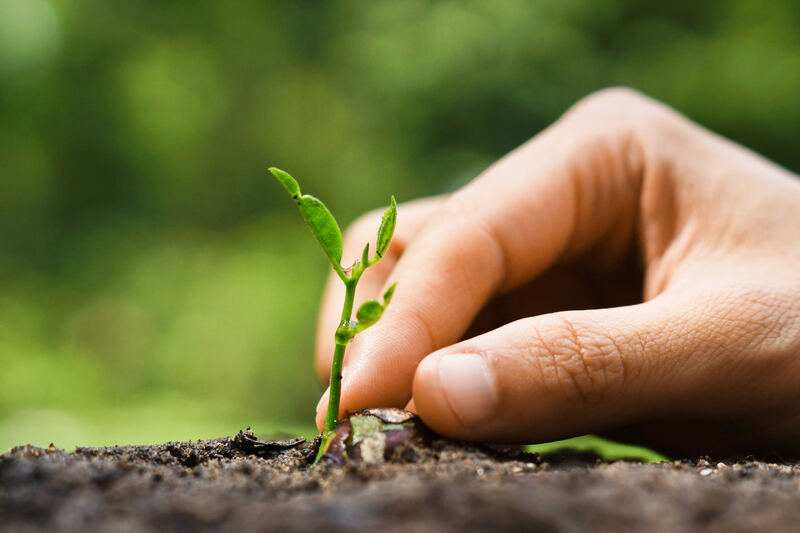 Because Flower and Garden Plus is made with compost, it has the benefits that compost brings to soil: these include pest control and disease suppression. 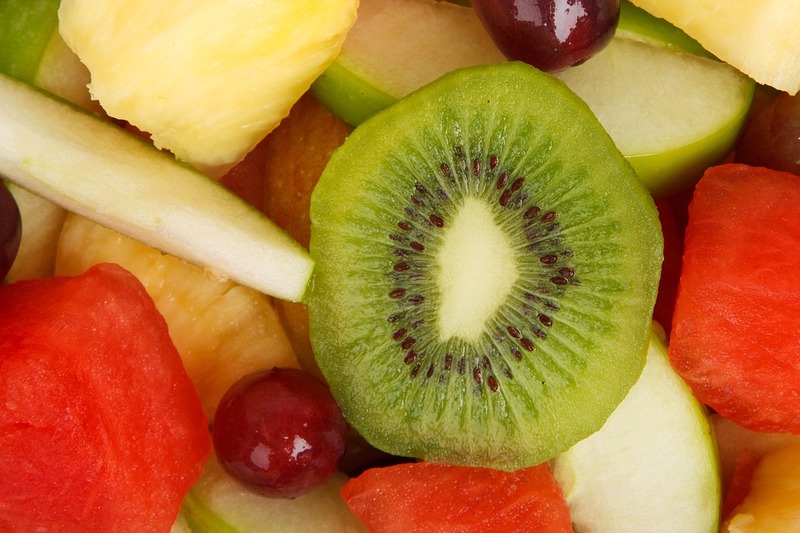 So gardens produce plants that are not only healthy, but also healthier to consume. Austin has it all— except ideal soil for lawns. The solution? Top dressing turf with compost. Whether done for new or established lawns, this method can help grass thrive in six key ways during the mild days of spring. Compost– such as our Triple Power Compost – is rich in macro- and micronutrients that get released slowly as the organic matter present in the soil mix decays. 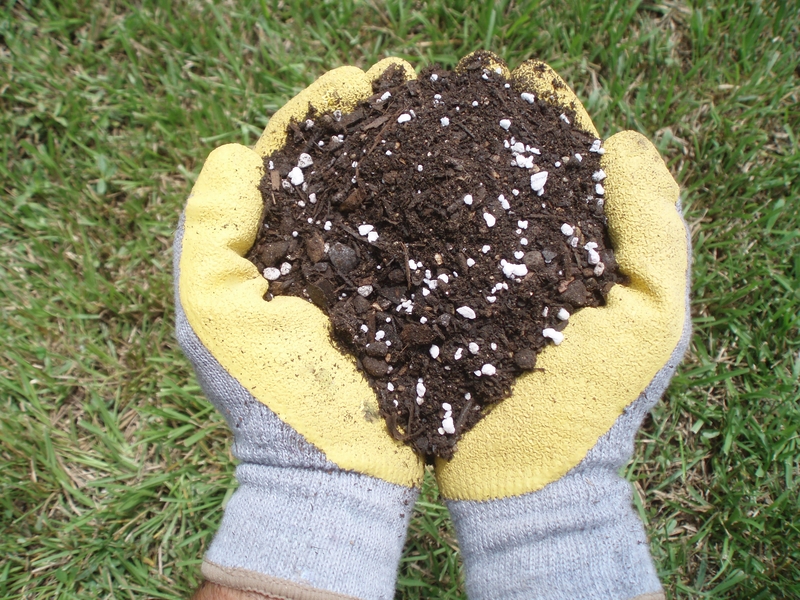 Because compost nutrients are not highly soluble, they stay in the soil during rainstorms. Top dressing with compost helps soil by adding life-giving organic matter, regardless of whether it’s applied before or after grass planting. This is important in areas where removing turf could lead to erosion. Adding compost topdressing to soil with significant clay content reduces surface crusting as well as compaction issues, which leads to better drainage. 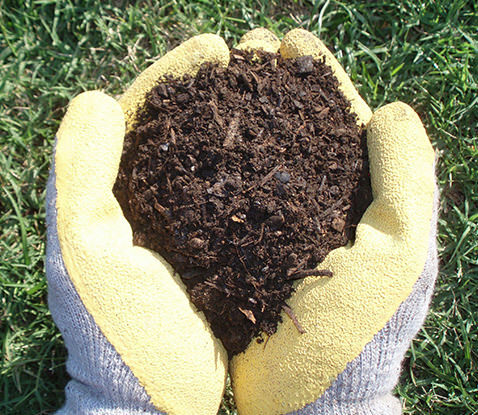 Compost top dressing increases the ability of soil to hold water and reduces your water will. It helps fill the aquifer by allowing for greater infiltration of water into soil, even if it has not been aerated. This results in fewer problems with runoff, as might occur after a spring rain event. 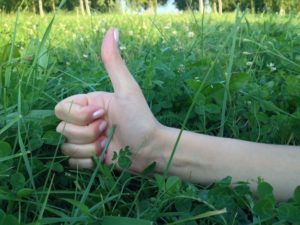 Because they play a crucial role in inhibiting plant pathogens and suppressing turf diseases, the microorganisms in compost help lawns thrive. Over time, repeated compost topdressing applications can reduce — or even eliminate — the need for chemical pesticides. Putting the Power of Nature to Work for You! Thinking about making more additions to your garden? You’re in luck. Fall is the best time for planting in Austin. And there’s no better foundation you can give your trees, roses, vegetable gardens, flower beds and shrubs than soil enhanced with our Triple Power Sustainable Compost. The ingredients that go into the Triple Power Sustainable Compost are locally sourced. We use Austin yard trimmings and more than 20 varieties of wasted fruits and vegetables collected from Austin grocery stores. The end result is a 100% organic product with all-native biology. With it, you can significantly improve the soil in gardens, landscapes and topdressing turf. The rich forest floor is our model! And that’s not all. To make our Triple Power Sustainable Compost, we use the static pile composting method. This is based in the four-season forest floor model. 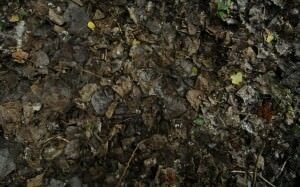 As leaves, twigs and other organic material collect on the ground, they slowly break down. This in turn creates an ever-renewing layer of nutrients that continually nourishes forest trees and plants. We “slow-cook” our material in a similar way, turning it over several times over a period that can span up to 12 months. Just as would happen in a forest, this process creates a nutrient-dense material alive with the microorganisms that help the soil retain moisture and fertility. What makes our compost unique is that it’s produced with the environment in mind. Most wasted food typically go into landfills, where it decomposes more slowly and gives off the methane gas that pollutes the atmosphere. It also gets mixed with non-organic chemicals and creates toxic substances that pollute soil and water. 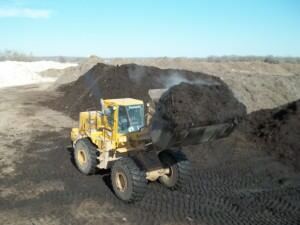 Our static pile process, means our compost cooks for 6-12 months. Not all composts are created equal. Our locally made product is zero-waste, designed with environment and earth in mind. For healthier, more sustainable landscapes, try Triple Power Sustainable Compost. 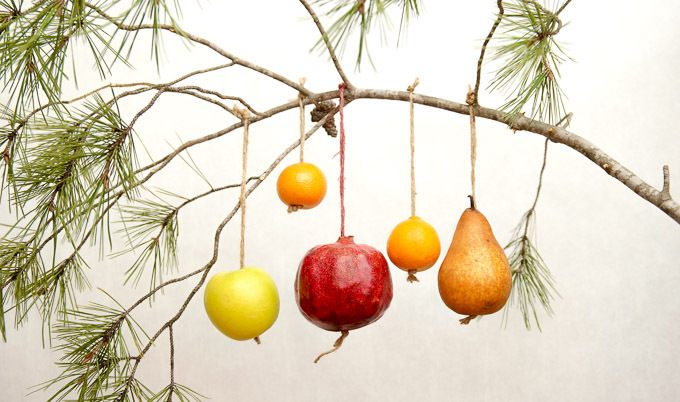 It’s the future of gardening reimagined — naturally, “By Gosh”!